Lot 116 - This lot is for sale by auction as lot 116 on Thursday 14th February 2019. 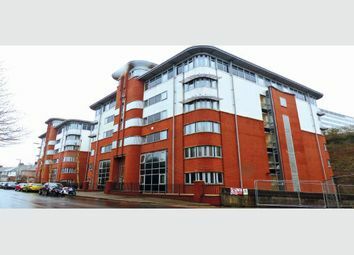 24 flats are subject to a lease for a term of 139 years from 24th June 2003 (thus having approximately 123 years unexpired) at a ground rent of £50 per annum (rising). 1 flat is subject to a lease for a term of 125 years from 25th June 2003 (thus having approximately 110 years unexpired) at a ground rent of £50 per annum (rising). 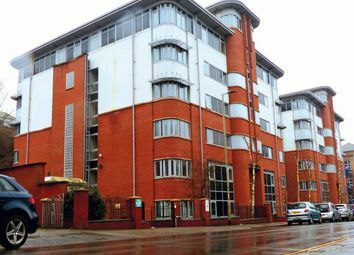 The property is located on Central Park Avenue, to the east of its junction with the A386. A variety of restaurants, bars, theatres and shops is available in Plymouth. Drake Circus Shopping Centre, Armada Shopping Centre and a Sainsbury’s supermarket are close by. Plymouth Rail Station is approximately 0.3 miles to the south. The A385 provides access to the A38. Plymouth University is within a 5 minute walk. The property comprises twenty-five self-contained studio flats situated within a well located purpose built student block. The properties benefit from access to communal facilities, including a common room, games room, private meeting rooms and a communal garden. The flats will be offered collectively as one lot. A schedule of Accommodation and Tenancies is set out below. Flats will be subject to a vendor guarantee of rent if unlet from the date of completion until 5th July 2019. Please refer to the legal pack for further information. Nb. The actual rent at completion will be an annual equivalent of £118,300 per annum. The property will be open for viewing Monday 28th, Wednesday 30th January and Monday 4th, Wednesday 6th and Tuesday 12th February before the Auction between 11.15 – 11.45 a.M. These are open viewing times with no need to register. (Ref: Mw). Guide Prices. Where a guide price (or range of prices) is given, that guide is the minimum price at which, or range of prices within which, the seller might be prepared to sell on the date on which the guide price, or range of prices, is published. The reserve price is the minimum price at which the property can be sold. Both the guide price and the reserve price may be subject to change up to and including the day of the auction. All guide prices are quoted 'subject to contract'. The latest published guide price, or range of prices, are displayed on our website. The latest published guide, or range of prices, will normally be at or above any reserve price. Whilst every effort is made to ensure that these guides are not misleading, it is possible that the reserve price set for any lot may exceed the previously quoted guide price - as the seller may fix the final reserve price just before bidding commences. If a guide price is listed as 'tba', it means that there is no guide price at present - please do not call our office. The guide price, or range of prices, will be published online immediately it becomes available at: Please check regularly for updates. Lots may be sold or withdrawn prior to auction.